I mean, truly—here’s a positively radiant review, by Jesse Nee-Vogelman for Spectrum Culture: Review 1 I’m not an expert on frogs. In all likelihood neither are you. If you desire to remedy this ignorance, The Book of Frogs contains a significant amount of information about frogs. Two thumbs up. Review 2 I don’t think I’ve ever cared for anything the way Tim Halliday cares for frogs. By comparison, I am emotionally barren. I can barely handle a single romantic relationship. Batrachophilia is a much more work-intensive ardor. The Book of Frogs details over 600 species of frogs, which, mind-bogglingly, comprises less than one-tenth of total frog species. Tim Halliday writes about each one as if it were his lover. Consider his description of the Atlantic Coast Leopard Frog, a “slim, athletic frog with…long, muscular legs,” which isn’t even one of the prettier frogs in the catalog. Halliday is an emotional cosmonaut, exploring the outermost reaches of human feeling. He has breached the extremities of passion. Should not we all hope to touch, if briefly, such fondness for the world and its creatures? . . . . . .
Just in time for this weekend’s unofficial “start of summer” gong, Nature (yea, that Nature—though also, ostensibly, “nature,” the wilder of nouns, not that other one qua Lucretius’s De rerum natura) came through with a review of Lisa-ann Gershwin’s Jellyfish: A Natural History. Stuck behind a paywall? Here it is in its glory, for your holiday reads: One resembles an exquisitely ruffled and pleated confection of pale silk chiffon; another, a tangle of bioluminescent necklaces cascading from a bauble. 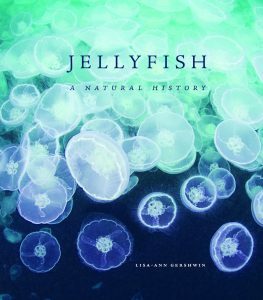 Both marine drifters (Desmonema glaciale and Physalia) feature in jellyfish expert Gershwin’s absorbing coffee-table book on this transparent group with three evolutionary lineages. Succinct science is intercut with surreal portraiture — from the twinkling Santa’s hat jellyfish (Periphylla periphylla) to the delicate blue by-the-wind sailor (Velella velella). To read more about Jellyfish, click here. . . . The Sykes-Picot Agreement, ratified on May 16, 1916, was a concord developed in secret between France and the UK, with acknowledgement of the Russian Empire, that allocated control and influence over much of Southwestern Asia, carving up and establishing much of today’s Middle East, along with Western and Arab sociopolitical tensions. The real reason for the divide? The region’s petroleum fields, and the desire to share in its reserves, but not its pipelines. 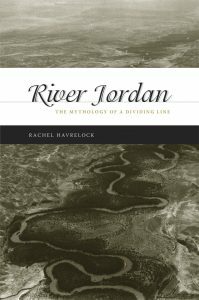 Rachel Havrelock’s book River Jordan: The Mythology of a Dividing Line considers the implications of yet another border in the region, the river that defines the edge of the Promised Land in the Hebrew Bible—an integral parcel of land for both the Israeli and Palestinian states. With her expertise in the ideologies that undermine much cartography of the region (her book includes a map of the Sykes-Picot Agreement’s splitting of territories), Havrelock understands how the demarcation of influence was central to the production of very specific oil-producing nation states. In a recent piece for Foreign Affairs, appearing a century after the Sykes-Picot Agreement, Havrelock writes about the potential for the region to remake itself, in the self-image of its peoples and their local resources: The dissolution of oil concessions could hold the key to . . .
From “Live through This,” by Catherine Hollis, her recent essay at Public Books on how much of our own lives we construct when we read and write memoirs: In The Dead Ladies Project: Exiles, Expats, and Ex-Countries, Jessa Crispin, the scrappy founding editor of Bookslut and Spolia, finds herself at an impasse when a suicide threat brings the Chicago police to her apartment. She needs a reason to live, and turns to the dead for help. “The writers and artists and composers who kept me company in the late hours of the night: I needed to know how they did it.” How did they stay alive? 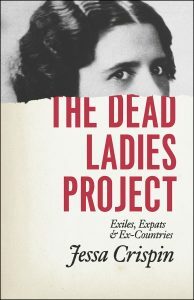 She decides to go visit them—her “dead ladies”—in Europe, and leave the husk of her old life behind. Crispin’s list includes men and women, exiles and expatriates, each of whom is paired with a European city. Her first port of call is Berlin, and William James. Rather than explicitly narrating her own struggle, Crispin focuses on James’s depressive crisis in Berlin, where as a young man he learned how to disentangle his thoughts and desires from his father’s. Out of James’s own decision to live—“my first act of free will shall be to believe in free will”—the . . .
Barry Schwabsky on Kristin Ross’s May ’68 and Its Afterlives at Hyperallergic: Okay, but when she dismisses a detractor’s charge that “nothing happened in France in ’68. Institutions didn’t change, the university didn’t change, conditions for workers didn’t change — nothing happened,” I have to wonder. Yes, something happened in the moment, with echoes that went on resonating for a few more years — but really, what long-term upshot did it have? That it’s hard to point to one is sobering, and to brush that aside seems to me too much like turning an uprising into (an unfortunate understanding of) a work of art: useless, complete in and of itself, to be admired, wondered at, and taken as exemplary. From May ’68 to the Arab Spring and Occupy, these beautiful apparitions, so easily quashed, can seem in retrospect a great argument for Leninism, and I can’t help sympathizing with, of all people, the embittered Maoist veteran of May, quoted by Ross, who came away from it with the lesson: “Never seize speech without seizing power.” Except that anyone who thinks they know how to do that is probably deluded. To read the Hyperallergic piece in full, click here. 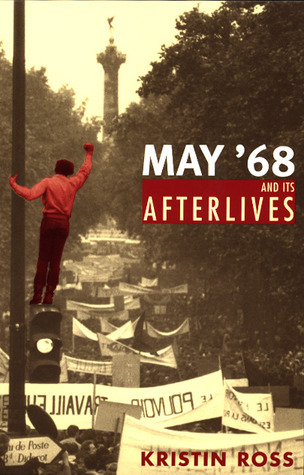 To read more about May ’68 and . . . Via an excerpt from the postscript to Roger Ebert’s Two Weeks in the Midday Sun, up at Esquire: My wife and I sit all by ourselves at the table for 10, awaiting Monsieur Scorsese. Around us, desperate and harried waiters ricochet from table to table with steaming tureens of fish soup and groaning platters of whole lobster, grilled fish, garlic paste, crisp toast, boiled potatoes, and the other accoutrements of a bowl of bouillabaisse. To occupy an unused table in a busy French restaurant is to be the object of dirty looks from every waiter; if you are going to be late, be late—don’t be the ones who get there early and take the heat. Around us, tout le Hollywood slurps its soup. There is Rob Friedman, second in command at Paramount. Over there is Woody Harrelson, who explains he partied till 6 A.M. and then slept two hours, and that was 15 hours ago. He wears the same thoughtful facial expression that his character in Kingpin did when his hand was amputated in the bowling ball polisher. Next to him is Milos Forman, who directed him in The People vs. Larry Flynt. Across from him is director Sydney Pollack (Tootsie). Across from . . .
From Michelle Dean’s profile of Jessa Crispin for the Guardian: Staying outside of that mainstream, Crispin said, had some professional costs. “We didn’t generate people that are now writing for the New Yorker,” Crispin said. “If we had, I would have thought that we were failures anyway.” She’s bored by the New Yorker. In fact, of the current crop of literary magazines, she said only the London Review of Books currently interested her, especially articles by Jenny Diski or Terry Castle. Of the New Yorker itself, she said: “It’s like a dentist magazine.” Crispin’s general assessment of the current literary situation is fairly widely shared in, of all places, New York. It is simply rarely voiced online. Writers, in an age where an errant tweet can set off an avalanche of op-eds more widely read than the writers’ actual books, are cautious folk. And Crispin can’t stand the way some of these people have become boosters of the industry just at the moment of what she sees as its decline. “I don’t know why people are doing this, but people are identifying themselves with the system,” Crispin said. “So if you attack publishing, they feel that they are personally being attacked. Which . . .
Publishers Weekly already christened Philip Ball’s Patterns in Nature: Why the Natural World Looks the Way It Does as the “Most Beautiful Book of 2016.” In a recent interview he did with Smithsonian Magazine, Ball lets us in on why, exactly we’re so drawn to the idea of patterns and their visual manifestations, as well as what let him to follow that curiosity and write the book. Read an excerpt after the jump. *** What exactly is a pattern? I left it slightly ambiguous in the book, on purpose, because it feels like we know it when we see it. Traditionally, we think of patterns as something that just repeats again and again throughout space in an identical way, sort of like a wallpaper pattern. But many patterns that we see in nature aren’t quite like that. We sense that there is something regular or at least not random about them, but that doesn’t mean that all the elements are identical. I think a very familiar example of that would be the zebra’s stripes. Everyone can recognize that as a pattern, but no stripe is like any other stripe. I think we can make a case for saying that anything that isn’t purely random has . . .
Sara Goldrick-Rab, recently named one of *the* indispensable academics to follow on Twitter by the Chronicle of Higher Education, will publish her much-anticipated Paying the Price: College Costs, Financial Aid, and the Betrayal of the American Dream this fall. 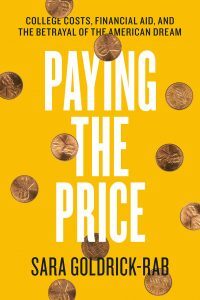 Needless to say, the book couldn’t be more timely—and important—to the continued conversation and policy debates surrounding the hyperbolic costs associated with American higher education. The book, which draws on Goldrick-Rab’s study of more than 3,000 young adults who entered public colleges and universities in Wisconsin in 2008 with the support of federal aid and Pell Grants, demonstrates that the cost of college is no longer affordable, or even sustainable—despite the assistance of federal, state, and local aid, the insurmountable price of an undergraduate degree leaves a staggering number of students crippled by debt, working a series of outside jobs (sometimes with inadequate food or housing), and more often than not, taking time off or withdrawing before matriculation. One of Goldrick-Rab’s possible solutions, a public sector–focused “first degree free” program, deserves its own blog entry. In the meantime, here’s an excerpt from a piece by Goldrick-Rab recently published at the Washington Post, which provides human faces to some of the data circulating around the central issues: When he runs . 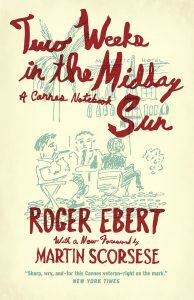 . .
Just in time for this week’s opening days of the 2016 Cannes Film Festival, we’re thrilled to publish Roger Ebert’s Two Weeks in the Midday Sun: A Cannes Notebook, with a new foreword by Martin Scorsese and a new postscript. You can read more about the book below, and for the next month, download a free e-book version of Ebert’s Bests, which combines a selection of Ebert’s beloved “10 Bests” lists with the story of how he became a film critic. *** A paragon of cinema criticism for decades, Roger Ebert—with his humor, sagacity, and no-nonsense thumb—achieved a renown unlikely ever to be equaled. His tireless commentary has been greatly missed since his death, but, thankfully, in addition to his mountains of daily reviews, Ebert also left behind a legacy of lyrical long-form writing. And with Two Weeks in the Midday Sun, we get a glimpse not only into Ebert the man, but also behind the scenes of one of the most glamorous and peculiar of cinematic rituals: the Cannes Film Festival. More about people than movies, this book is an intimate, quirky, and witty account of the parade of personalities attending the 1987 festival—Ebert’s twelfth, and the fortieth anniversary of the . . .